SPEC HOME! UNDER CONSTRUCTION! Beautiful 3 bedroom/2 bath home located in a gated community. The community has a clubhouse, community pool and dog park. Incredible mountain views. 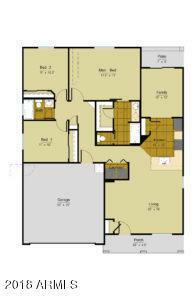 Nice floor plan. Still time to choose some finishings. HOA includes basic cable, high speed internet and trash service.